If you are interested in dog training you may want to consider becoming a drug dog trainer. Training dogs for drug detection can be a very lucrative business. Not only are dogs trained for law enforcement, but dogs can also be trained for private detection companies. These companies search businesses, schools and homes for different kinds of contraband. Whether for law enforcement or for private detection, drug detection dogs are trained to give an alert when they detect a specified odor. Substances can include marijuana, cocaine, methamphetamine, heroin, opium and other things. They can even be trained to detect prescription medications such as Xanax. Some dogs are taught to scratch at the source of the odor (aggressive alert) while other dogs are taught to sit (passive alert). Various dogs are used, from German Shepherd Dogs to Labradors. Using drug detection dogs for private detection work, such as searching schools, has been shown to have a great deterrent value. These programs place the emphasis on prevention. In addition to businesses, schools and homes, drug detection dogs can be used in many other places. They can be taken to parking lots to search cars, they can be taken through school buses, and they can go to different events. The dogs and handlers are mobile and not restricted so they can go anywhere people could hide drugs. Parents can also have drug detection dogs visit their home. In these cases, if drugs are found, many companies provide information to the family about rehab and other resources so the family can handle the situation privately. Companies often advertise their confidentiality. The companies are not affiliated with law enforcement. Both dogs and handlers require training and work as a team, opening more training possibilities for dog trainers. Drug detection dogs are typically trained using positive reinforcement. Trainers may play with them and ask them to find toys that have a slight scent of different narcotic or illicit drugs on them. Drug detection companies usually maintain a range of registered samples for training purposes. Some drug detection dogs may be trained in tracking as well. 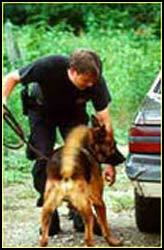 Many drug detection companies also offer detection dogs for sale. These dogs have been carefully chosen and very highly trained. Selling them is a very lucrative side of the business. I want you to know that if you have a true passion for working with dogs there has never been a better time to do it. The pet industry is set to do over $52 billion dollars in sales this year. I talk to dog trainers all over the country and everyone I talk to tells me that business is better than ever. I have experienced that same thing with my dog training business here in Nashville. Things may be tough right now but people are still spending money on man’s best friend, the family dog. Don’t put it off any longer ….get off the fence and get started with your own dog training business. Take a look at these outstanding dog training programs. Good luck and make 2013 the best year you have ever had….your family deserves it. 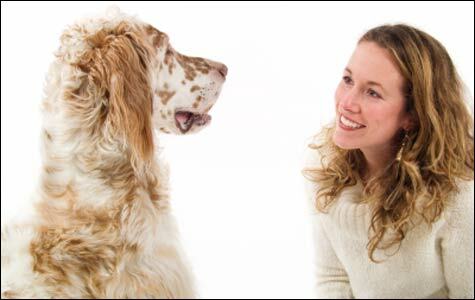 Become A Dog Trainer ! Like any other important skill, becoming a professional dog trainer can’t be learned overnight. It takes time and a great deal of hands-on experience with dogs and their owners. But there are some things you can do to get started on the path of becoming a professional dog trainer. 1. There are many dog training schools these days. Some are good and some aren’t. Be sure to check out any school that you are thinking of attending. Do you have access to the instructor? Check out our programs at www.K9-University.com/programs . 2. Attend seminars, workshops and conferences on dog training and behavior. These programs are usually relatively inexpensive and they allow the participants to get first-hand information from recognized experts in the field. Many dog training seminars are now offered online so you don’t have to travel. 3. You should also read books on the subject of dog training and dog development. Read as much as possible but don’t believe everything you read. Remember that every author has his own viewpoint. When you read about one training technique you should also read other authors who practice different techniques. Being well-read in dog matters, in general, it will help you as an all-around dog person. And, you should read more than just dog training material. Familiarize yourself with dog books on breeds, nutrition, canine sports — every aspect of dogs. You are considering making dogs your life’s work. Become an expert on them. 4. Watch videos of other trainers to observe their approaches to training. Again, you don’t have to agree with everything you see, but you should be aware of what’s going on in the dog world. 5. 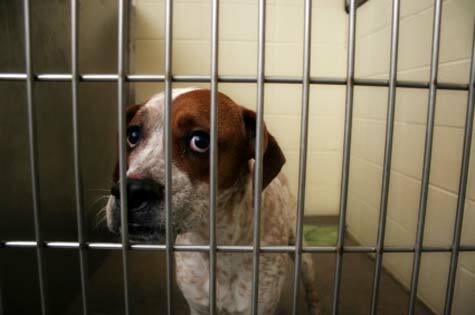 Consider volunteering at local animal shelters. This is a good way to practice some of your training skills and the shelter will be very appreciative. Dogs which have received some basic training in manners are more likely to be adopted and stay in their new homes. It can take years of hard work and hard study to become a dog trainer. 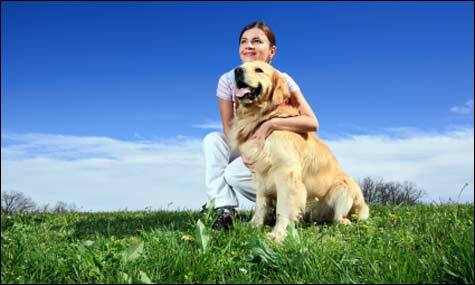 Enrolling in a good dog trainer programs can get you started without re-inventing the wheel. We never stop learning about dogs. Everyone has to start at the beginning and learn the basics. You can learn to be a professional dog trainer by studying under trainers in courses, seminars and workshops as described here. Study dog training and dogs by reading everything you can find. Take a good course. If you follow these guidelines and continue to practice your skills, you will make it as a professional dog trainer.